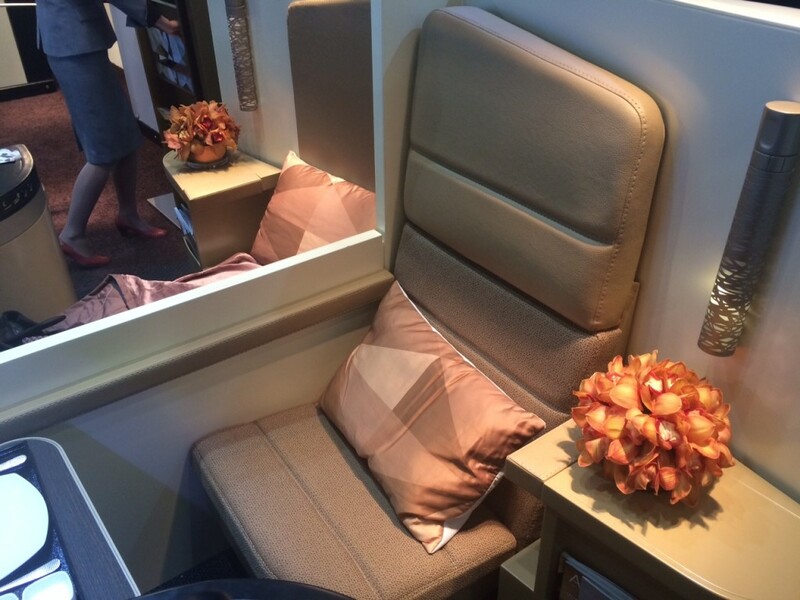 The one genuinely interesting thing I found at World Travel Market last week was the Etihad stand. Etihad is about to start its first A380 services and London will be the first route to receive it. Press coverage of the A380 has focussed on ‘The Residence’ which will set a new benchmark for luxury on a commercial airliner. It is a (admittedly tiny) private apartment for two people. It will only be available on the A380 and there will only be one per aircraft. It contains a ‘proper’ bedroom, a sitting room and a private en-suite bathroom complete with shower and bathrobes. There was a full-size mock-up, albeit without the bathroom, of The Residence at World Travel Market and I was lucky enough to get access. You can find official pictures and a video on the Etihad website here. 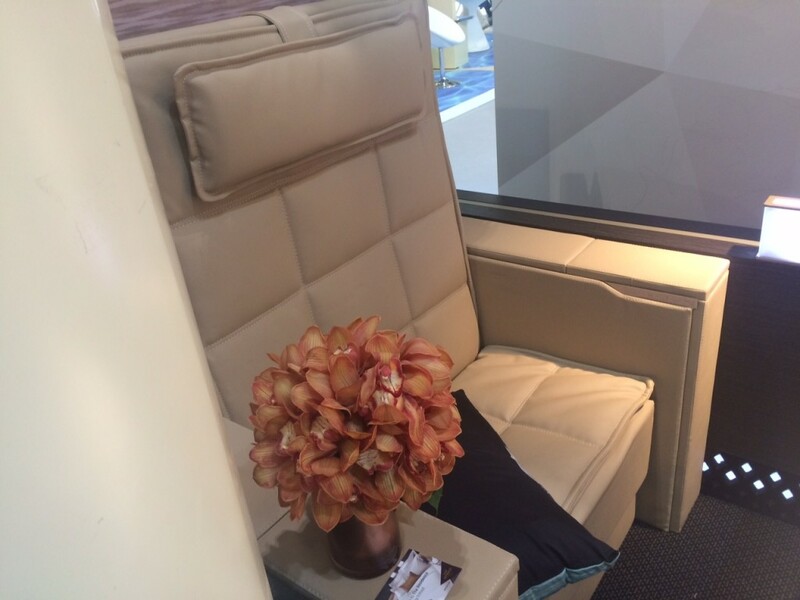 Of more practical use were the new First Class and Business Class products on display. 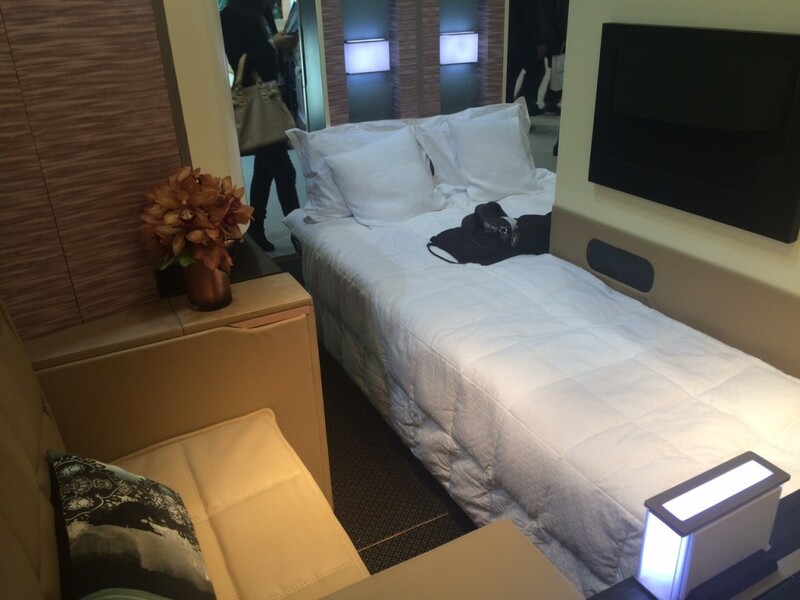 This is the new Etihad First Class Apartment product which will feature on the A380. As you can see, it has the option of forming a pseudo-double bed with the adjoining seat if the partition is dropped as in these images. You can see more on the Etihad website here. Again, there is more on the website here. I am taking advantage of the current 20% transfer bonus on American Express Membership Rewards points to Etihad Guest to build up an Etihad balance, and I hope to give the A380 and Boeing 777 a go early in the New Year. Do note, though, that the Etihad lounge at Heathrow is closed until December and that the First Class lounge in Abu Dhabi will be closed until April. I really thought BA might do something like this with the launch of their a380to secure their TATL market. Just shows how things are changing. If Etihad follow Qatar and introduce a380 on BKK or HKG route i may be tempted to build some Etihad miles too. I think residences are overkill for a commercial airline. I would rather they concentrated on a good business class product instead. BA definitely need to take a hard look at their CW offering. The CW cabin feels too crowded when compared to even US Airways. And I do think US Airways is just one step above a low cost carrier. How many Etihad miles are required for this? 50,000 one way? Yup, a Residence redemption is not a great deal. Etihad F is 110k return so cheaper than BA F. Etihad business is 88k I think so 8k more than BA. Using American Airlines miles Etihad F is only 80 or 90k I think return. Business is definitely 60k return with AA miles. So can i transfer my avios miles to aa account . Or does it not work like that? It doesn’t work like that. Totally separate schemes. The 20% MR bonus is tempting along with the MBNA 20000 miles offer. I might just bite the bullet and go for it. It was between this and moving my MR to Hilton. Thanks for pointing that out. Forgot about that. Now I’m not sure which way to transfer lol. What would you do? What would work out as more value? Actualy just did some calculations. I have 35k MR points. MR to Hilton is 1:2 = 70000. MR to Virgin is 1:1 = 35000. Virgin to Hilton is 2:3 = 52500. Unless my calculations are wrong, MR to Hilton would be better would it not? 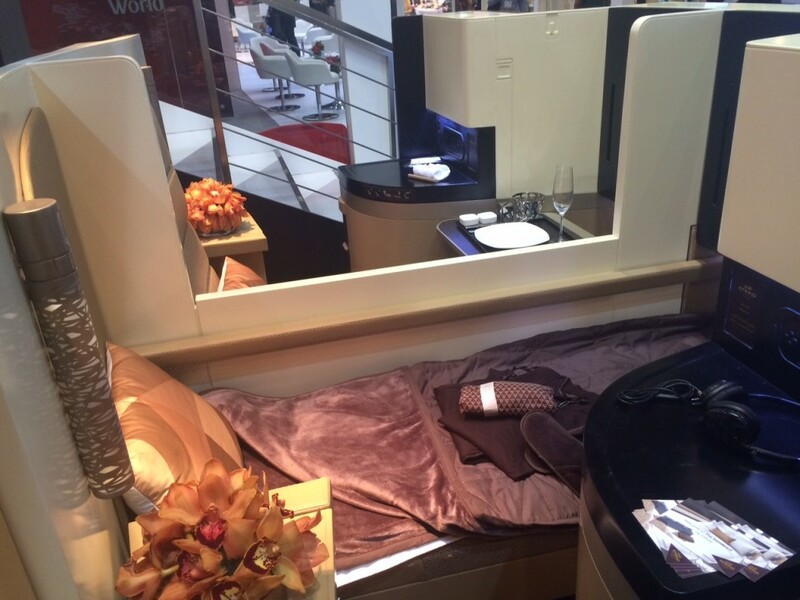 I could not find any A380 award seats in the First Class Apartment for the whole of 2015. Looking at these photos alone makes my upcoming F Suite return trip to Abu Dhabi next week seem dated.. On the other hand I can’t see myself booking an F redemption on EY A380 till next year when things cool down..
OT: qatar goes daily from EDI from 5th May. All flights 787. Should ptovide a few more avios redemption seats. There also appears to be premium cabin availability on a380 switched fro LHR to BKK. When you’re a ‘boys with toys’ state run airline you can do almost anything to attract customers. It would be folly for the likes of BA to do provide a similar product. True but nit quite. Were BA wrong when they introduced flat beds to CW? In the past they set standards but these have now been surpassed. BA seems reluctant yo even catvh up. My huess is because thry cannot do so eithout sacrificing their high density CW and losing a lot of revenue as a result. Despite being one of the most expensive airlines BA continues to do well in its core longhaul market, thanks largely to their dominance at Heathrow. Until thrir market share drops substantially I cannot see them changing high density CW. Best we can hope for I think is evolution of existing design with better seet, bigger screen etc. 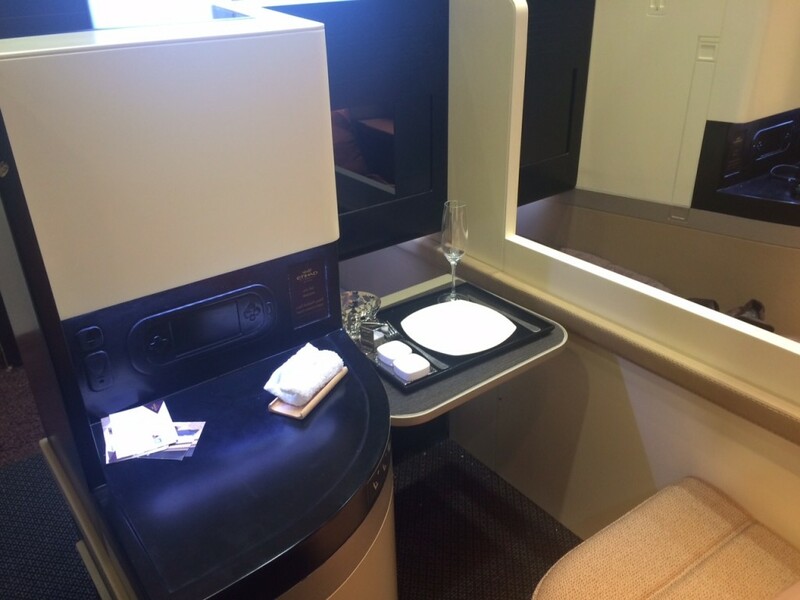 That said, i am in no doubt BA could have sold a luxury suite quite easily on some routes such as LAX, IAD and JFK. What I do find difficult to understand is BAs lack of ambition with their new F seat. 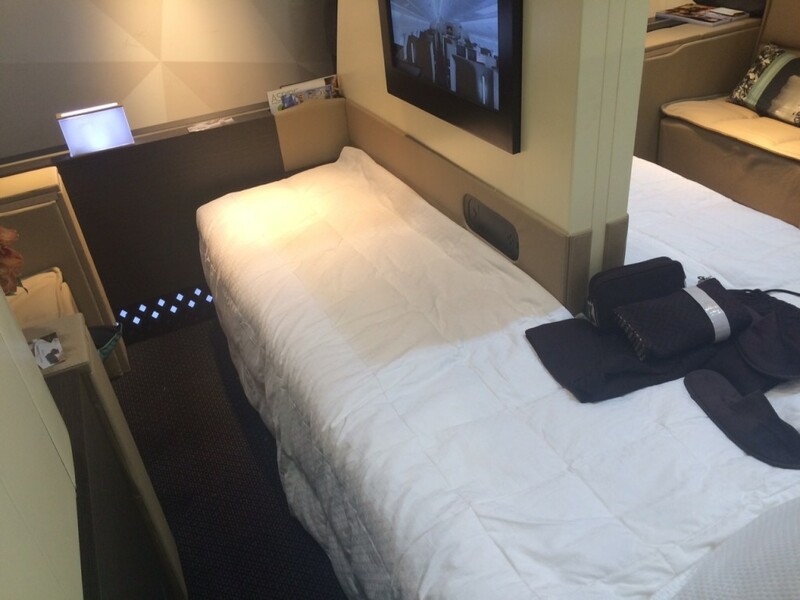 What is business class award availability usually like on EY? thinking about jumping onto the card + transfer bonus deal. 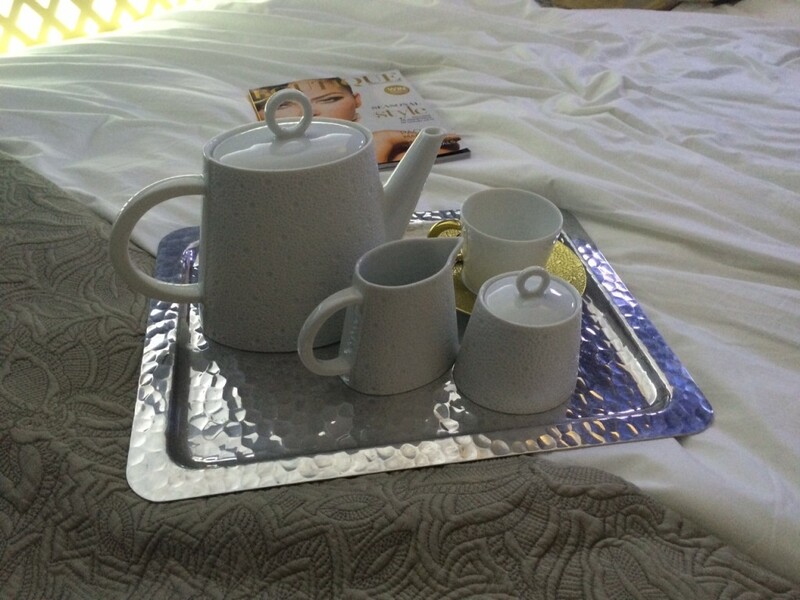 Is it just me or is the bed in the Apartment narrower than what’s on aay EK or EY’s current F product? It didn’t feel too narrow to be fair. On Twitter is a pic of me sitting on it for scale. Thanks for the nice pictures Rob! Seems to outdo even the SQ suites. Lufthansa isn’t matching that. 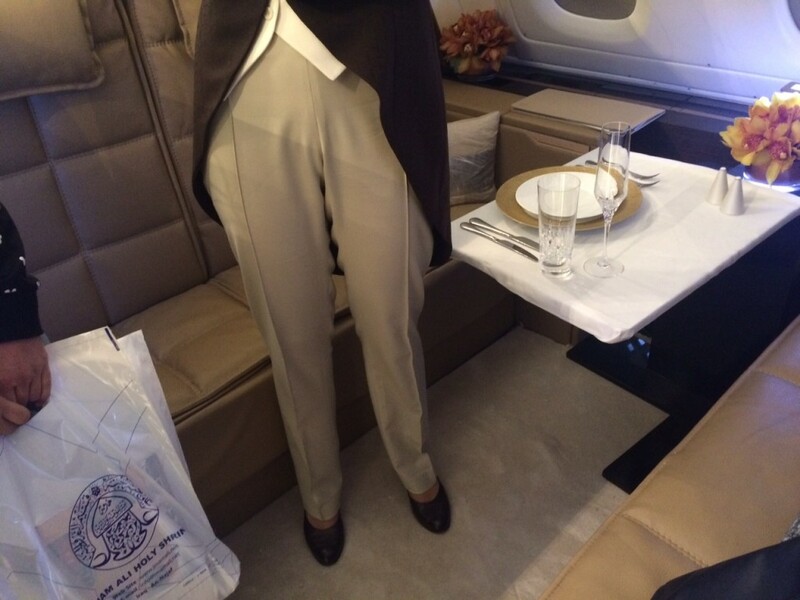 Looks like it’s going to be hard for LH to execute their focus on First Class in the Middle East. What;s the betting LH will dump their Middle East routes like they dumped all of their European short haul except FRA or MUC flights? possibly followed by being forced to dump their Asian routes… ? I flew EY F from AUH to CDG on Friday; the cabin supervisor was talking to me about these new suites and she thought that the ticket would be about $20000 for AUH-LHR (one way). I dont know if that is per pax or for the suite. The Residence is $21,000 one-way. For one or two passengers.